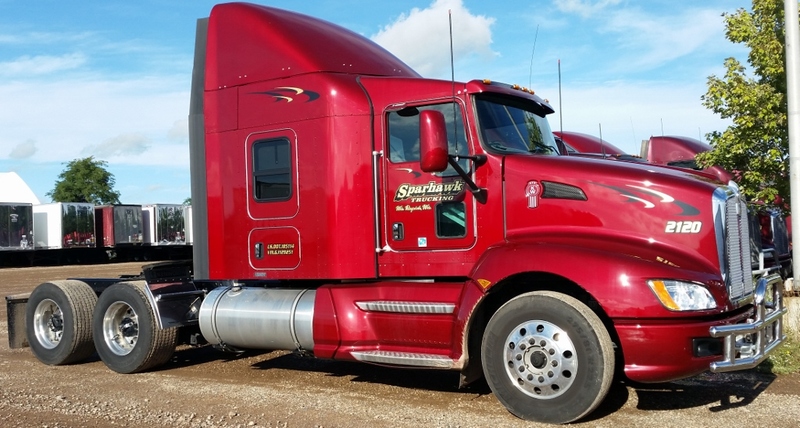 A premium hauler of freight, Sparhawk Trucking is in need of skilled drivers. Sparhawk Trucking hauls cargo and freight like no other. Apply for a career with Sparhawk today! Don’t worry, we can handle the road. Click on the “Chat w/ Sparhawk” button in the bottom-right of your screen. If not from an employee, please tell us how you found about the position. Do you have a valid CDL Class A License in your state or residence? 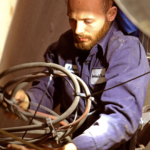 Do you meet all Federal Motor Carrier guidelines? Can you pass the DOT Physical and Drug Test? During the past two (2) years have you ever tested positive or refused to test on any pre-employment alcohol or drug test administered by an employer to which you applied but were not hired? Do you illegally use drugs? Please check the box for a "yes" answer. Leave blank for a "no". Begin with your most present (driving) job or most recent (driving) job and work backward in order, listing your (driving) employers for at least 10 years, including full and part-time employment. All time must be accounted for including military service, self-employment and periods of unemployment. May we call your current employer to verify employment? May we contact this previous employer to verify employment? Personal or professional convictions, other than parking violations. Disclaimer - This certifies that this information was completed by me, and that all entries and information in it are true and complete to the best of my knowledge. By entering my name here, I acknowledge the above disclaimer. Application written notification of: Safety Performance History Records Request: (40.25) (391.23) Each motor carrier must investigate each driver’s safety performance history with each of the driver’s DOT- regulated employers during the preceding three years. A written record must be kept with respect to each precious employer contacted, or goof faith efforts to do so, and must include the previous employer’s name and address, date of contact or the attempts made, and the information received about the driver. The record must be placed in the drivers investigation history file within 30 days of the date the driver’s employments begins. The record must be maintained pursuant to section 391.53. 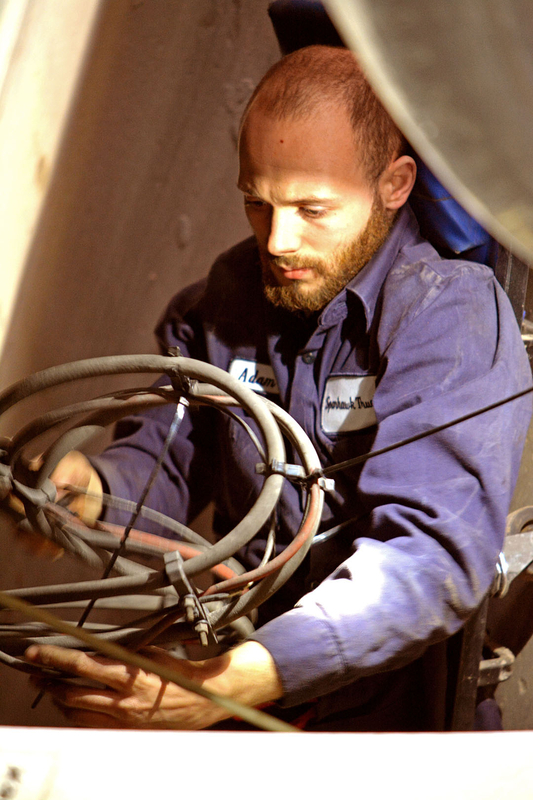 (Form # 850 FS- C3) Previous Employee Safety Performance History: (391.23) Each motor carrier must investigate each driver’s safety performance history with each of the driver’s DOT- regulated employers during the preceding three years. The Previous Employee Safety Performance History form allows a driver’s previous employer to document the driver’s safety performance history upon termination of employment. The completed form can then be forwarded to the driver’s prospective employer(s) upon request. The information must be forwarded within 30 days of the request. Previous employers must keep a record of each request and the response for one year, including the date, the party to who it was released, and the summary identifying what was posted. The information of this form must be kept on file until three years after termination (form # 854-F) Driver Applicant Rights: The applicant is hereby notified that they have the right to review and correct previous employers information. The applicant has the right to have the prior employer correct any errors and for that previous employer to re-sent the correction to the prospective employer. The employee has the right to have a rebuttal statement attached to alleged, erroneous information provided by the previous employer if they cannot agree on the accuracy of the information. Drivers with a DOT regulated employment history within the past three years can request to review prior employer information with written notification to the employer or prospective employer during the application process or within 30 days of being employed or being denied employment. Sparhawk Trucking, Inc., will provide this information within 5 business days after receiving the request providing Sparhawk Trucking, Inc. has received the information from the prior employers. 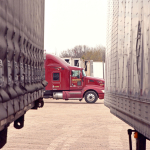 In the event that this occurs, Sparhawk Trucking will have 5 business to provide information to the employee after the information is received. The driver has 30 days to make arrangements to received or pick up the information. The employee will waive this right to review information if this is not done within the 30 day time frame. AUTHORIZATION FOR THE RELEASE OF INFORMATION FROM PAST EMPLOYERS Requesting Company: Sparhawk Trucking Inc. Contact Person: Mike Saramandich 421 25th Ave North	Phone: (715) 423-0380 Wisconsin Rapids, WI 54495	Fax: (715) 423-0313 TO BE READ AND SIGNED BY THE APPLICANT According to law established by the Department of Transportation, Sparhawk Trucking is required to conduct a background check on each applicant. By signing this release, you are allowing Sparhawk Trucking to conduct the background check. It is understood that the information in this application will be used and that prior employers will be contacted for purposes of investigation as required by 391.23 of the Motor Carrier Safety Regulations. It is agreed and understood that Sparhawk Trucking Inc. or his agents may investigate the applicant’s background to ascertain any and all information of concern to applicant’s record, whether some is of record or not, and applicant releases employers and persons named herein form all liability for any damages on account of his furnishings such information. It is agreed and understood that if hired, the employee may be on a probationary period during which time he may be discharged without recourse. It is further understood an investigative report may be made whereby information is obtained through personal interviews with third parties, such as family members, business associates, financial sources, friends, neighbors, others with whom you are acquainted. This inquiry includes information as to your character, general reputation, personal characteristics, and mode of living, whichever may be applicable. You have the right to make a written request within a reasonable period of time for a complete and accurate disclosure of additional information concerning the nature and scope of any investigative consumer reports requested by us. It is understood that the applicant, by presenting the application for employment represents that the statements given by the applicant to the information requested in this application are true, correct and complete, and that any false, misleading or incomplete statement of the information requested in the application shall be sufficient grounds for discharge from employment. RELEASE FOR DRUG AND ALCHOL INFORMATION In accordance with 49 CFR 382.405 (f) and 382.413 (b), you are hereby authorized and requested to furnish to Sparhawk Trucking Inc. any and all information in your possession concerning my participation in your drug and alcohol testing program under 49 CFR Part 382. I specifically authorize you to release information on any alcohol tests with a concentration results of .04 or greater, positive controlled substance test results and/or refusals to be tested within two years preceding the date of this request. I further authorize and request you to release any information in your possession concerning my evaluation by a substance abuse professional, the identity of that substance abuse professional, my participation in any treatment or rehabilitation recommended by the substance abuse professional and the results of any return-to-duty drug or alcohol test within two years preceding this request. A photocopy of this release shall be as valid as the original. This authorization shall be valid for one year from the date of signing hereof.